Cool! Save an average of 20% on VF Outlet with 1 Coupon Codes, and 4 Deals! 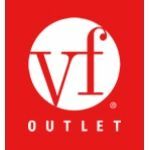 VF Outlet is an outlet store that offers a wide selection of popular top brand names. The store carries popular brands such as JanSport, Majestic, Nautica, Lee, Wrangler, Vanity Fair and many more. The outlet store offers sales promotions, markdown prices everyday low prices and more. Details: Free shipping on all orders. No code necessary. Expires on 12/31/2013.